CORNERED: Kwesi Nyantakyi, president of the Ghana Football Association, 1st vice-prez of CAF, Council Member of world football governing body, Fifa. President of the Ghana Football Association (GFA), Kwesi Nyantakyi is certainly no stranger to controversy. 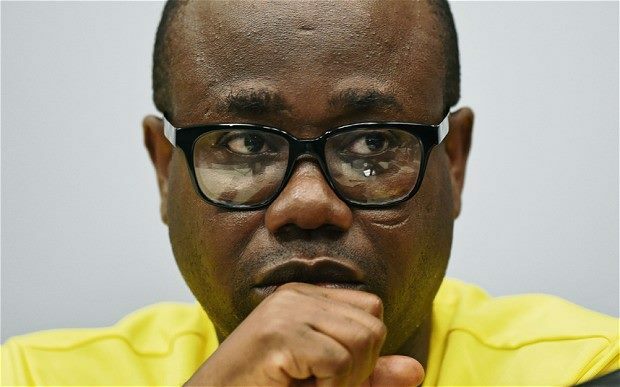 Having spent 13 years in charge of Ghana’s football governing body, Nyantakyi has faced his fair share of corruption allegations. The combative Nyantakyi has consistently denied the claims, repeatedly defending the institution he has headed for over a decade. However, recent claims against him might have just broken the camel’s back, with the President, Nana Akufo Addo ordering his arrest. According to the Presidency, Kwesi Nyantakyi was seen in an investigative piece by journalist Anas Aremeyaw Anas trying to secure investments in the name of the President, Vice President and other key government officials. This is the latest in some, mostly unprosecuted, allegations of corruption against the GFA’s top official. Citi Sports chronicles some of Kwesi Nyantakyi’s biggest controversies since his ascent to the top of Ghana’s football ladder. In 2008, the GFA signed a $15 m sponsorship agreement with telecommunications giants, GLO. The deal involved a 15% (reduced to 10%) payment to Mid Sea, the supposed company that brokered the deal. However, it was revealed the said company did not exist. The Economic and Organised Crime Office (EOCO) subsequently raided the offices of the GFA in search of evidence of fraud. No such evidence was found; in consequence, nobody was prosecuted. In 2012, GNPC signed a 3-year deal to sponsor the Black Stars under the purview of the GFA. It was later claimed that a third party company, WEST HEAD, brokered the said deal and were entitled to agency fees. Then Board Chairman of GNPC, Ato Ahwoi, denied the claims and said the decision to sponsor the Black Stars was purely the company’s, and that no such third party was involved. Nothing substantive has resulted, since. During the Dzamefe Commission sittings, it was revealed Nyantakyi shared an amount of $557,000 among seven management committee members of the GFA, including his former vice, Jordan Anagblah, who had passed away a few months before the World Cup. He also revealed other people benefited from the money and when queried on how they determined who earned how much, Nyantakyi said they calculated it using a coefficient of 7, which later gained infamy across the domestic sporting community. The Commission also revealed that Nyantakyi and the GFA had taken money from both the government and the sponsors, GNPC, to organise friendly matches in preparations for the 2014 world cup. But the said friendly games were already paid for by the organisers of the aforementioned games. Nyantakyi was subsequently ordered to refund $1 million to the state. Nothing of consequence has resulted from it. British newspaper The Telegraph and Channel 4, in June 2014, accused the GFA and Kwesi Nyantakyi of being involved in some shady deals to fix international friendly matches for the senior national football team, the Black Stars. The newspaper claimed that “the President of Ghana’s Football Association agreed for the team to play in international matches that others were prepared to rig”. World football governing body, FIFA, referred the matter back to the GFA’s Ethics Committee after its preliminary investigation but announced it would “continue to monitor the investigations and any future proceedings”. The Ethics Committee eventually cleared Kwesi Nyantakyi, of any wrongdoing. However, the Committee revealed that it was necessary to conduct further investigations into two others implicated in the scandal, Obed Nana Kwame Nketiah and Mr Christopher Forsythe. Deputy Chief of Staff, Abu Jinapor confirmed that the GFA Boss was the subject of an investigation by the CID after the President had seen parts of an investigative piece by journalist Anas Aremeyaw Anas. Mr Jinapor told reporters that Kwesi Nyantakyi was captured trying to secure investments in the name of the President, Vice President and other key government officials. The CID is investigating Mr Nyantakyi for defrauding by false pretence. Nyantakyi himself is not in the country at the moment, but he is expected to return to the country on Wednesday, May 23 and turn himself into the police.